The Crystal of the Day for Thursday 3 October 2013 is Castle Crystal aka “Cathedral Crystal”. Like building castles in the air with a solid foundation, Castle Crystals are masters of energies of balancing, uplifting, and relieving depression and anxiety. Psychically they are used for accessing mystical knowledge you are spiritually prepared to receive by traveling to different “rooms” within the castle in meditation. They are also used for astral travel and gaining Akashic wisdom. One prominent point with parallel points stepping up around all sides, rather like candle drippings. It is usually an opaque crystal formation of one main central point and surrounding parallel ones usually of different widths and lengths, but shorter than the main crystal, all growing on a common base. If clear it is a Lightbrary. Significant parts of the Akashic Record are manifest in Cathedral Quartz. These rare entities contain the knowledge of the Universe that humans can understand. They are impersonal teaching crystals that can be accessed by careful study. These crystals can seem uncommonly inert and lifeless when first encountered. However with familiarity and careful study, they warm and seem to be filled with an eerie inner glow often reported to be a faint violet colour. If you seek wisdom, enlightenment, and a deep understanding of mankind’s place in the universe, both physical and spiritual, no better meditation crystal exists. These crystals are for use by dedicated seekers of Universal Truth. They are worth whatever their price, if used conscientiously. 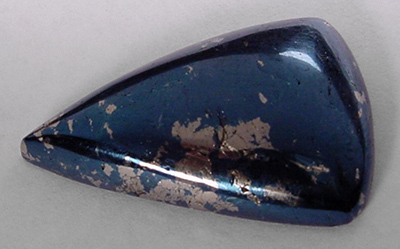 The Crystal of the Day for Thursday 12 September 2013 is Covellite. Covellite is a stone to transform your dreams into reality by enhancing a positive outlook. It has strong metaphysical properties and by utilising its energy correctly you can bring miracles into your life. This stone helps you to open a doorway to the past, and supports you as you remember the wisdom you obtained in past lives. It may help to trigger psychic gifts such as clairvoyance and may help to enhance lucid dreaming, astral travel and past life recall. It is a powerful stone to use to pursue lifetimes from the past and to review and release the karma associated with events from those lives. By allowing certain individuals to access the Akashic records in the etheric realm, Covellite helps you in this quest. You may use it with other stones that aid access to the Akashic records, including Chiastolite, Cavansite, Blue Apatite, White Heulandite and Goethite. Covellite is stone that stimulates a positive outlook on life and may assist you to transform your dreams into reality. Yet this stone is something of a contradiction in some ways as it is not always an easy stone to work with. While Covellite may be a stone of contradictions, it has the ability to aid your life in many ways. It allows you to see past life karma and release it, and its positive vibration will enhance a positive outlook. This may aid you to transform your dreams into reality, and live the life you desire. The Crystal of the Day for Wednesday 11 September 2013 is Chiastolite. Chiastolite is a quite unique deep brown stone with a natural black cross formation in its structure. Ancient people revered the cross within it as a sign from God as the name “chiastolite” derives from the Greek chiastos meaning “cross marked”. This unusual crystal has long been regarded as a stone that is highly protective. These ancient beliefs have been shown to be true as it is a highly effective psychic protection stone. This brown stone has a highly protective vibration. In the distant past Chiastolite was used to ward off the evil eye and curses by ancient people. This is a stone of balance and harmony and will counter disagreements between people of differing ideas, and transform their attitudes into one of harmonious agreement. 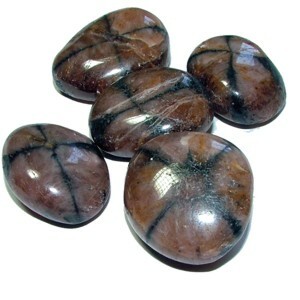 This is an excellent stone for you to use alongside the higher vibration stones, as it is a powerful stone to aid you to journey to higher spiritual realms and to learn about the contents of the akashic records, while remaining grounded. They aid you to change negative energy into positive, and foster harmony and peace. It has a strong action to enable you to understand your mortality. It helps you to be aware that you are on a journey that comprises this life and past lives you have experienced – life after life, death and re-birth. It is a comforting stone if you are suffering grave illness and is known to be helpful to ease the dying as they approach the time to return to spirit.